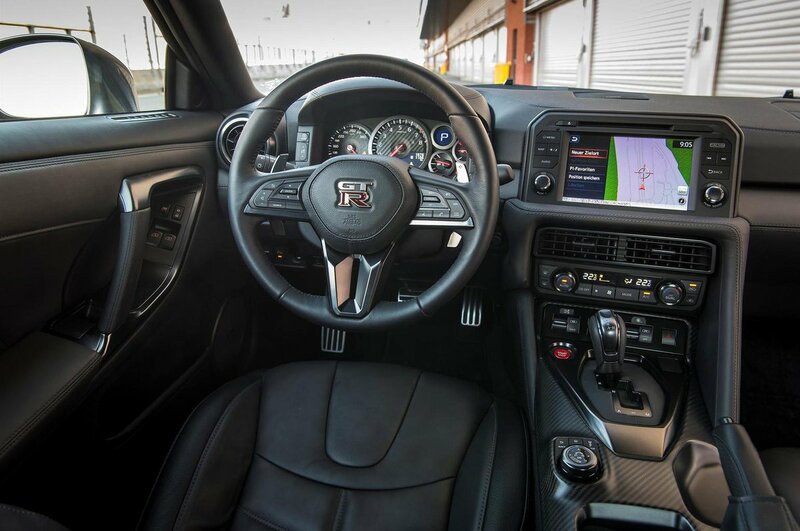 Nissan GT-R Interior, Sat Nav, Dashboard | What Car? 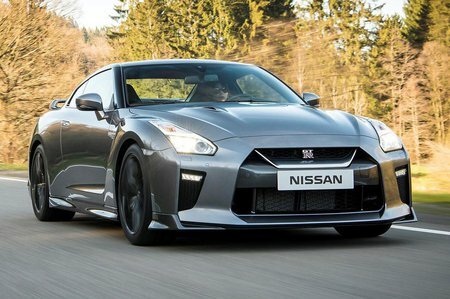 The GT-R comes with electric heated leather seats as standard, with alcantara sports seats offered as part of a mid-level ‘Recaro’ trim level. Whichever seat you opt for, you’ll find yourself sitting a little higher than in some sports cars, but with plenty of adjustment for both cushion angle and height. The car’s instruments are conventional in the main. A small monochrome trip computer screen offers a digital speedometer function as a handy backup, but compared to the adaptive colour instrumentation on a Porsche 911, the GT-R’s dials look antiquated. The car’s steering wheel has a small central boss, which makes room for a greater number of controls on each spoke. Behind it, the GT-R’s gearshift paddles have been moved from the steering column to the back of the wheel, so they rotate with it and are easier to reach while steering. The car’s dashboard now comes upholstered in nappa leather, for a newly upmarket finish. Its climate control console looks neater than it once did, and further back down the transmission tunnel carbonfibre trim gives a lift in perceived quality. 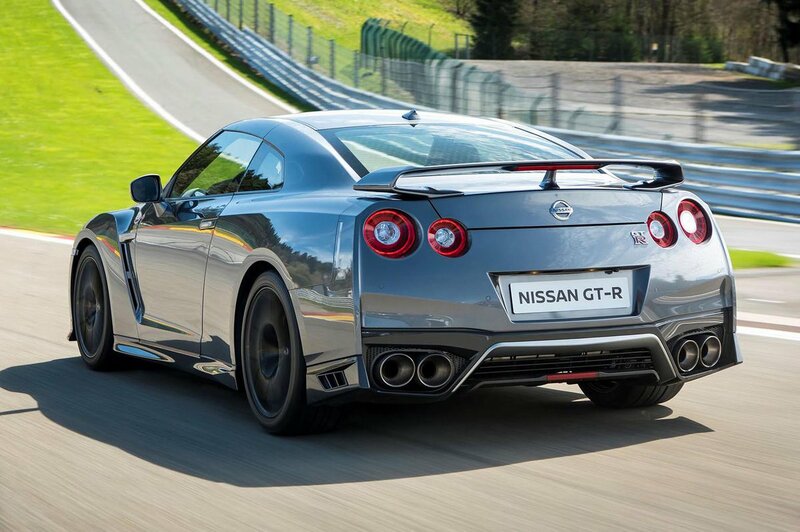 The GT-R’s infotainment system works through an 8in colour display. Compared with the very best systems it still isn’t very sophisticated-looking, it’s somewhat slow to respond, and it lacks any smartphone mirroring or any app-based functionality. Just as before, it can be used best as a multi-function display for things such as turbo-boost pressure, and engine and transmission condition.